Used Bach Stradivarius model LT72 lightweight, medium large bore Bb trumpet in lacquer finish. 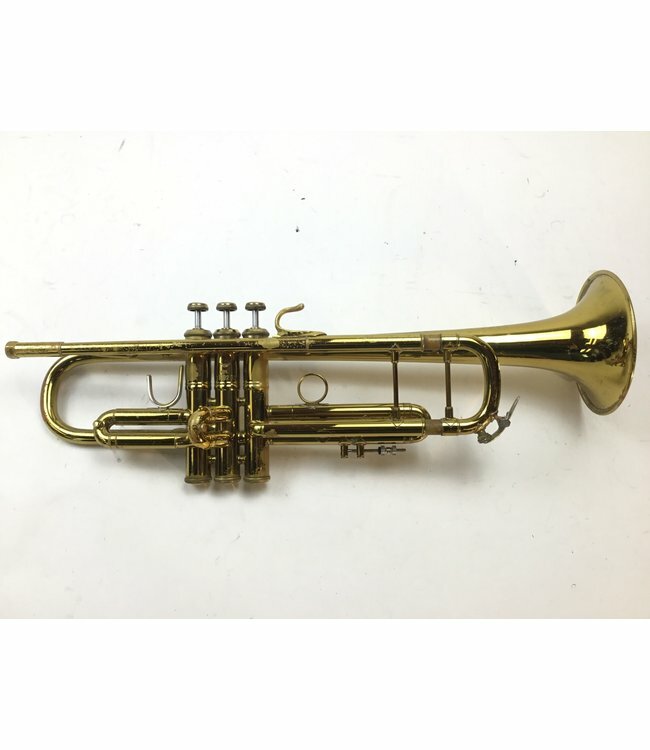 This trumpet is in overall good condition for its age, despite normal lacquer and signs of use throughout, not affecting playability. Corporation bell. Comes with case.